Ahh the days before children. When making fifteen minutes of small talk on a quiet walk through the park was pretty bad. I think the last time I was really and truly alone was in January, and it lasted about ten minutes. That was two months ago. Now when I read articles where introverts are talking about needing to have 3 or 4 hours alone every day I can’t help but feel a little jealous. There are a lot of articles out there for parents. 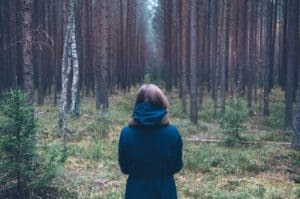 There are a lot of articles out there for introverts. But I find myself at a loss when I’m looking for resources for introverted parents. You see, we can’t pat ourselves on the back, say it’s okay, and curl up in bed with a good book come 5 o’clock. We can’t put on headphones to retreat from the commotion. We can’t show them a clever little meme or comic that explains the beauty and “depth” of introversion and hope they’ll understand. When you’re dealing with babies who don’t sleep through the night and toddlers who can’t communicate yet, you really can’t push them aside so you can have some “me” time. You have to be present. Always. Now I know I’m lucky to have my kids. I know people who want to have kids and are struggling. I know sleep-deprived, over-stimulated people without kids. I adore my children. It’s not their fault their mom is an introvert. It’s not their fault they want mangoes and are too young to grasp the concept that mommy can’t make them magically appear. It’s not my fault for not knowing how to handle the situation, not knowing what to say, googling solutions on my smartphone while bouncing a screaming baby on my lap. Parenting is rough. It’s beautiful, wonderful, messy, and chaotic. Being an introverted parent adds some especially unique challenges. Okay, I figure most of you visiting here know what introversion is. But I’ll explain it anyway in case there are any misconceptions. Introverts have energy that flows inwards towards the world of ideas, thoughts, and reflection. This is what stimulates them and gives them energy. According to this article about the science of introversion and extroversion, introverts get over-stimulated more easily, and are more sensitive to dopamine activity in the brain. Extroverts are more positively stimulated by dopamine activity, which tends to correlate with socializing, engaging with others, and taking risks. Introverts are more affected in a positive way by a chemical called acetylcholine; this chemical makes us feel relaxed, alert, and content. While extroverts are more dopamine-centered in their mental stimulation, introverts are more acetylcholine-centered. Parenting is a beautiful, chaotic time for the introvert. Children are notoriously noisy (even the introverted ones can be), and they demand a certain hyper-awareness that means as a parent you have to constantly stay checked in to the external environment. If you have babies, you’re probably not sleeping well. I haven’t slept for more than 5 interrupted hours a night in the last four months. In fact, the dizziness and nausea I’m feeling right now is related to long-term sleep deprivation. If you’ve got a baby, there’s a good chance this is you too. If your toddler is in the meltdown stage chances are there’s a lot of noise in your house. Plus you never know when they might try to jump out a second-story window to “escape into the jungle” (yes, my daughter and step-son tried to do this). Hyper-vigilance is a byproduct of parenting, and for the introverted parent who likes to retreat into a world of thoughts and reflection, having to constantly push their focus outwards is exhausting. And we didn’t even discuss the “why” phase, or the “mommy, mommy, mommy, mommy, mommy” phase. And the playdates. And the parent-teacher conferences. And trying to cram work/cleaning/cooking/counseling into an already highly distracting atmosphere. What you can do depends a bit on your situation. If you’re a single mom you don’t have a partner to ask for help (I’ve been there!) you’ll have a unique set of challenges. If you’re a work-at-home mom, you probably can’t “nap when the baby naps”. If you work away from home you may feel extra pressure to maximize your time with your kids when you get home. And then there’s the different types of introverts to think of. The needs of an INFJ are going to vary sometimes from the needs of an ISFJ. For now, let’s just talk about general solutions ANY introvert can take advantage of. If your child sleeps through the night, try to get up extra early so you can enjoy an hour or more of peace and quiet. Before my baby was born last October I was getting up at 5:30 AM every day. It was still dark outside. The house was peaceful and quiet. I could read, work, sip a hot drink, or just take a quiet shower. It was SUCH an amazing way to recharge before everyone was up and needing my attention. If you’re more of a night-owl, then staying up late and sleeping later (if you can) is another option. Instead of having a continuous 3 hours of socializing with your kids (or parents at playdates), spend 20 minutes with your kids, then give yourself a ten minute break (if you can). Or give your kids a couple of hours and then take a half-hour break for yourself. This may not work if you’re dealing with babies, but just knowing that you can have that time to count on and look forward to will reduce your stress levels. Kids as young as two can learn to play on their own for a little while happily. Create a special box of toys that you only bring out during this scheduled time. This way they will look forward to it and you can know they’re happy while you give yourself a little time to recharge. Kids LOVE audio books. You can find them at Audible, you can download them for free if you have an Overdrive subscription, or you can borrow them from your local library. Give your kids some blank paper, crayons, a tray of healthy snacks, turn on an audiobook and get some time for yourself. This is one of my favorite solutions! Set up a little corner of a room with blankets, pillows, books, or art materials. Maybe add a CD player with classical music CDs for them to listen to. This can be a great place for them to go and read, create, explore, and relax. Quiet time doesn’t seem so bad when they have such a cozy place to do it in 🙂 You can call this area of your home the “silent retreat” or “the quiet nook”. Anyone who’s feeling over-stimulated or needing alone time can go there and retreat from the outside world. You can even hang some curtains around it, make it into a fort, or hang some twinkly lights to make it extra appealing. Taking your child to soccer practice or music lessons can give you a chance to relax and catch up on some reading. Plus the ride there and back can be a good time to connect and have some quality one-on-one conversation. Get out into the woods with your kids and let them explore. Pack up your baby or toddler in the stroller and enjoy a quiet stroll through the neighborhood at sunset. Find a beautiful place where you can walk, calm down, and connect with nature. If your kids are older this can be a good time to connect one-on-one and have some more meaningful conversations. As an introvert it’s vital to know that you have a set time to look forward to. Obviously we love our kids and want to spend time with them, but knowing that at 7 PM (or whatever time you choose) you’re DONE is a great relief. Create a night-time routine; showers/baths, stories, snuggles, bed. If you have a baby who’s not on a routine yet, work something out with your partner so that you can get at least a short period of time to yourself after putting the kids to bed. Go Ahead. Put on a Movie. I don’t know about you, but I’m one of those mom’s that feels insanely guilty any time I turn on the TV for my kids. But sometimes it’s a necessary evil. If you’re about to blow up from over-stimulation and energy depletion, create a playlist of shows or movies you can feel good about your kids watching. Maybe it’s Kipper the Dog or Daniel Tiger for the little ones…these shows are not as over-stimulating as many other kids shows, and they teach basic vocabulary, kindness, manners, etc,. If your kids are older try to steer them towards shows that aren’t overly-loud and obnoxious (these won’t be very refreshing to have on in the background). 1-2 hours a day of TV a day isn’t going to mentally harm your child. Are there any kids out there who don’t like Minecraft? Really? Truthfully, even I even like Minecraft! This is a video game you can feel okay about letting your kids play for a little while every day. Not sure if it’s going to destroy your child’s brain? Check out this article on 10 Reasons Why Minecraft is Beneficial for Your Kids. If you have people you can ask for help, don’t feel bad about asking. Maybe you can swap childcare with another mom or exchange some kind of service for babysitting from a good friend. Or if you have grandparents who adore your children, take advantage of it! Maybe you’re like me and you’re living somewhere where you don’t know anyone very well and you have no family close by. If that’s the case you can see if any church’s have “mom’s morning out” programs or VBS programs. Some introverts I know use online babysitting services. The point is don’t feel bad for asking for help. Raising a child wasn’t meant to be done entirely alone. This is what I do most of the time right now because my kids are all different ages and I can’t take advantage of a lot of the above-mentioned solutions. Envision yourself ten years from now. What do you think you’d want to say to your current self when you’re ten years older? Would you tell yourself to enjoy all the little crazy, noisy moments with your kids because they’re going to be grown up before you know it? Would you tell yourself it’s okay to take a time out and let your child cry for a few minutes so that you don’t lose your temper? Would you tell yourself it’s okay if the house isn’t clean and the dishes aren’t washed, because your child will remember that story you read to them or the snuggle you gave more? Would you tell yourself to be more attentive to not just your children’s needs but your own needs? Remind yourself how much you couldn’t wait to hold this little child. Read articles about where they are developmentally so that you can keep your cool when they’re throwing a tantrum, not sleeping through the night, or going through teenage transitions. Many, many introverts find relief from stress when they write or journal. Create a writing time every day for yourself and/or your kids. Give them fun stationary, stamps, stickers, or colored pencils and let them write letters to their friends (or draw pictures if they can’t write yet). Turn on some soft music, light a candle, make everyone a cup of hot apple cider, and make the whole experience as enjoyable as possible. This can allow you to express yourself creatively, or just “vent” onto paper for a little while. Sometimes it’s just going to be insane and there’s nothing you can do about it. This is when you just try to focus on one moment at a time. Tell yourself, “I just need to change this one diaper”, “I just need to make this one sandwich”, “I just need to stay calm during this one crisis”. Take deep breaths, try to remove yourself from the noise and emotional chaos of whatever situation you’re in, and try to think objectively and focus on being calm, present, and kind as much as possible. If you need to take a five-minute break in the bathroom to pull yourself together, do it! Just ride the wave of craziness as best as you can. Was this Helpful? Do You Have Any Tips? Let me know in the comments! I’d love to hear from you! Super helpful! Thank you for posting this!! I am a stepmom of two, entering into life with more children, and I am realizing I will need to find alone time. I have learned the lesson not to treat sleep like a luxury, it’s a priority. And I foresee that the same will be true of alone time. This article had great practical tips. 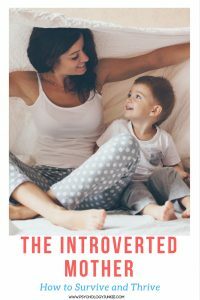 What I found most useful about your article is that as introverts we need quiet time, we need to reflect, and instead of escaping our kids to do that, the answer is to integrate that quiet, reflective lifestyle into the kids’ routine. Thanks for this! Thank you so much for this article. My son is 2.5 now and is a total handful and only child. Now some may say only “one child, what I wouldnt give….”. As a SAHM that still has to work 40 hrs/week while my fiance works out of the home, I always feel so guilty about working, cleaning, cooking etc…because in my head my child is alone. I realize alone time is just as important for them as it is for us parents, but I feel like I am ‘holding’ him back or depriving him because he is the only child. 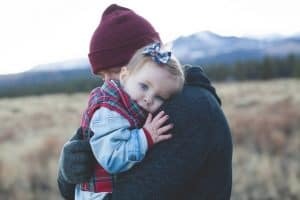 This article helped me realize why it is so difficult for me parenting and not wanting to do the whole play date thing or meet other moms at the park; I am an introvert parent. Everything makes more sense now!!! Thank you again for this!